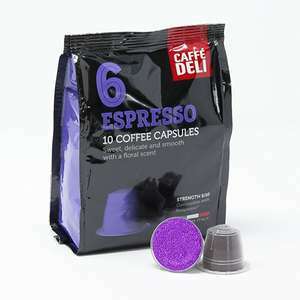 Ok as a stop gap if you run out of posh ones, when I was in they had Ristretto and Lungo, but they also have Espresso ones sometimes. Amazon are selling boxes of 100 for £14. My Nespresso machine really struggles with these. Takes ages to get a cup out. If you're going to do this you may as well just buy a kettle, some milk and a jar of coffee!